On August 25th 2018 our South Central staff team attended Southampton Pride and met with lots of very enthusiastic members of the local community. The event itself was very well organized event with many diverse and colourful stalls and acts throughout the day. There were many different organisations ranging from health, Ikea, make up, education, arts & crafts and all things ‘Pride’. The event started at 11am with stallholders set up inside the O2 Guildhall along with entertainment during the day. Visitors to the event were lucky enough to be treated to a whole range of musical acts throughout the event, from a ukulele band to a Lady Gaga tribute, to former talent show contestants Union J and The Cheeky Girls. Those attending the event were also treated to a ‘fun fair’ feel with rides, candyfloss, bungee ropes and more stalls. 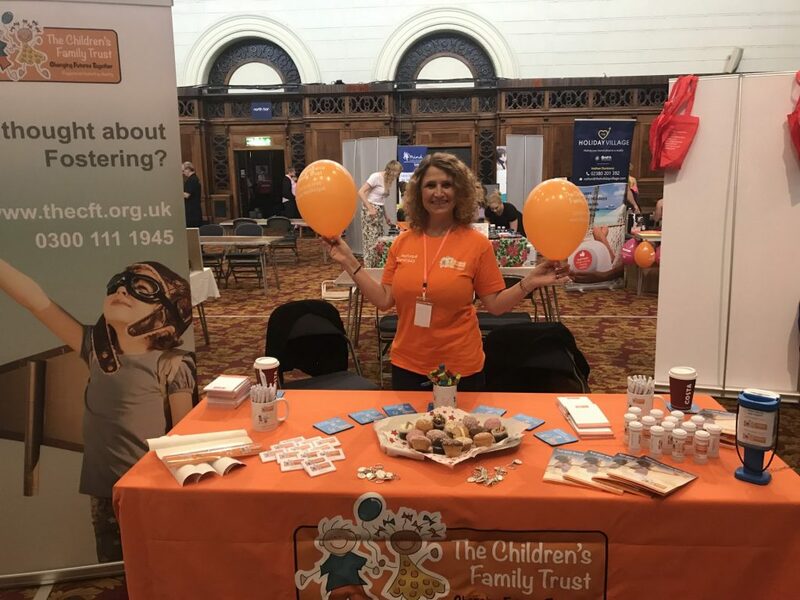 The CFT stand was busy all day and our staff were able to chat to some lovely and varied people resulting in some really positive leads for the region. The whole day was a great success and our team really enjoyed talking with members of the local and LGBT community and joining in the celebrations. We can’t wait for next year’s event! If you are interested in Fostering but were unable to make this event, don’t fear! You can still get in touch with us by contacting us through our website or calling 0300 111 1945 to speak to a member of our friendly team!